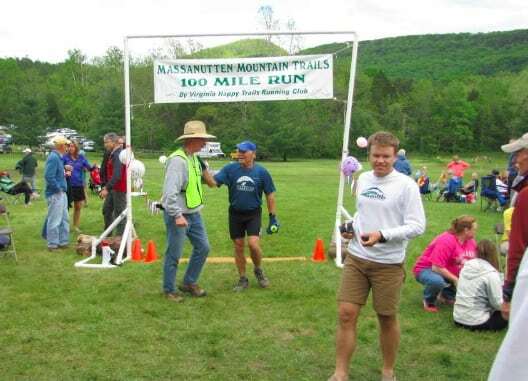 Gary coming across the finish line for his 17th finish of the MMT 100. He has the highest number of finishes for the VHTRC-sponsored race. Photo: Diane Behm.